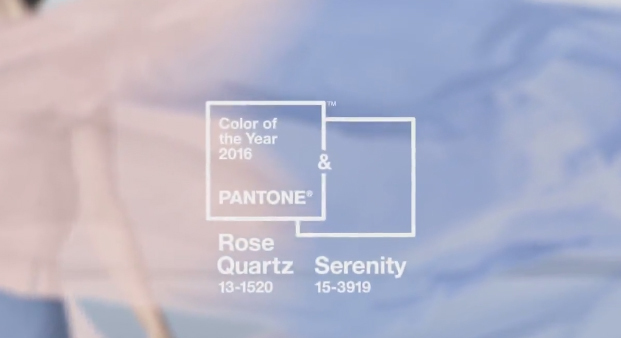 Pantone, the unrivaled expert on color and color technology, announced for the first time ever, two colors will be the Colors of the Year for 2016. 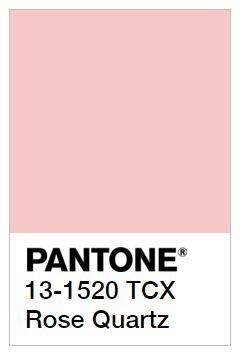 Every year, the Pantone Color Institute reveals its predicted Color of the Year. This prophecy strongly influences the upcoming year in design. The hues, Rose Quartz and Serenity, should start to appear in home furnishings, fashion collections, and most importantly jewelry design. 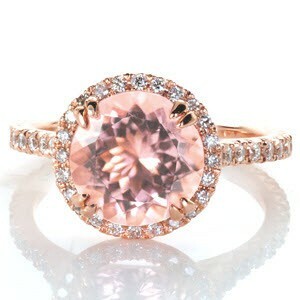 These pastel hues have already made an appearance in several of Knox Jewelers’ recent custom ring creations. 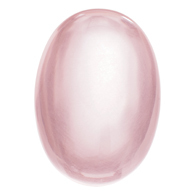 Rose Quartz is described as an alluring and gentle color that expresses both compassion and a sense of composure. On the other hand its compliment, Serenity, conjures feelings of weightlessness and relaxation. 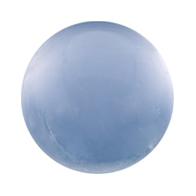 Both the pale pink and pale blue hues can be found in several gemstone options. Any of the gemstones featured below can be set in your one-of-a-kind creations! 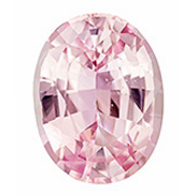 Fancy colored sapphire can be found in both a soft pink and blue hue, and is the only gemstone featured below that we recommend for use in engagement rings. 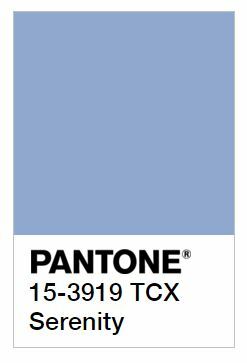 Let Knox Jewelers help you create your own custom jewelry with one or both of your favorite 2016 Pantone colors! There are so many colorful gemstone options to serve as inspiration for your next heirloom piece of jewelry. Now is your chance to create a work of art with the colors that represent the year to come. If you are looking to design a piece that will be cherished for a lifetime by your loved one, we are here to help. 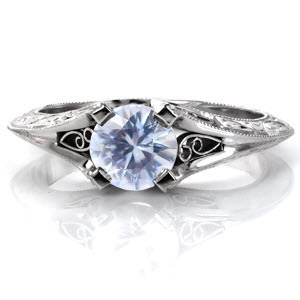 Knox Jewelers specializes in unique custom jewelry designs and engagement rings. Pink and blue gemstones in any shape or size can be added to one of our custom created jewelry designs for a one-of-a-kind look! Contact Knox Jewelers to find out more about our products or services, including our custom jewelry design. Let us help you to be on-trend with your jewelry in 2016. We look forward to hearing from you! How Does Light Affect My Diamond? Diamonds capture our attention and hold it. They accomplish this feat through many different mechanisms, but one of the most visible and noticeable is its reflection of light. Light can affect a diamond in a variety of ways, and each of these ways contributes to diamond’s overall beauty and popularity – after all, there’s a reason why diamonds are often used in metaphors and idioms involving light and perception. Let’s take a look now at some of the different ways in which varying light conditions can sometimes drastically change your diamond’s appearance to make it lighter, darker, or even more colorful. Think of it this way: Your diamond is a conglomerate of many different tiny mirrors that are each angled in different directions. Thus, your diamond reflects a multitude of different objects in its environment. Then, you have to consider your own viewing angle – how you look at the diamond also changes your perception of it. Try this experiment: Hold your diamond jewelry as far away as you can stretch your arms. Then, hold it as close to your eyes as you can. See the difference? When you hold it close, you’ll reflect the pupils of your eyes. Holding it far away will reflect more of the immediate environment. 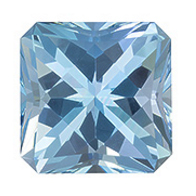 Diamonds are typically graded based on their color, clarity, carat weight, and cut. 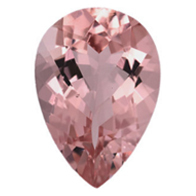 That last item, cut, is essential in determining a particular diamond’s final appearance. In fact, your diamond’s cut plays one of the biggest roles in determining how light will interact with it. There are seven different components that go into determining a diamond’s cut grade: brightness, fire, scintillation, weight ratio, durability, polish, and finally symmetry. Let’s take a closer look at those components now. These three attributes describe a particular diamond’s appearance. Your diamond’s cut will determine how vibrant each of these aspects will be in the presence of different lighting conditions. In general, the best and most valuable diamonds channel all three of these attributes for maximum brilliance and beauty. 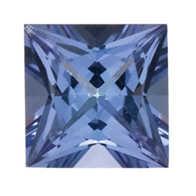 The other four attributes that determine a diamond’s cut grade are weight ratio, durability, polish, and symmetry. These four aspects collectively describe the quality of the craftsmanship that went into the cut. Well-polished, symmetrical, durable, and balanced diamonds will naturally contribute to a higher cut grade. Cut grades are determined by the preceding seven attributes. But what does this grade mean for your diamond? Let’s break down each of the five grades to see how light affects each one differently. *Excellent: For the most precise and beautifully-crafted cuts, light will reflect at subtle angles and radiate throughout the surface of the diamond. Only the most well-cut stones receive this rating. *Very good: An impressive rating that many diamonds strive to achieve: The stone will look stunning under multiple lighting conditions and in different environments. *Good: A diamond rated “good” will have a balanced brightness, fire, and scintillation score under varied lighting conditions. 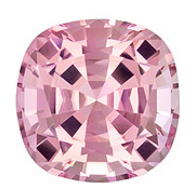 *Fair: Average diamonds with a passable brightness, fire, and scintillation profile will achieve a “fair” rating. The perfect diamond will capture light from its surroundings and display a beautiful show of color and light that captivates your eyes. It will display a clear spectrum of stunning colors as light strikes its surface (fire). As it moves through the environment, it will sparkle radiantly and emit a variety of light and dark patterns (scintillation). It will be bright and luminous (brightness). How does a well-cut diamond achieve these effects? In short, it directs more light through its top without allowing it to exit through its bottom. A poorly cut stone will do the exact opposite, thus appearing darker under light. 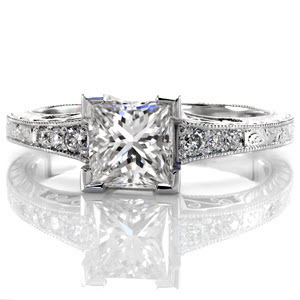 At Knox Jewelers, we have helped countless customers design stunning and unique engagement rings. 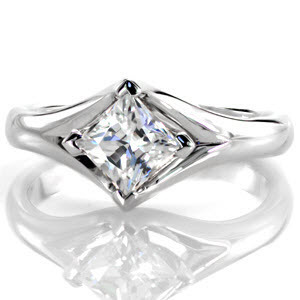 Many of these custom engagement rings have utilized a diamond center stone for its classic, timeless beauty. If you’re on the market for a custom engagement ring of your own that incorporates a diamond center stone, be sure to get in touch with us today at Knox Jewelers. 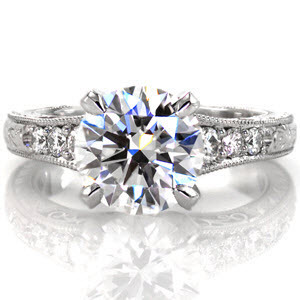 We look forward to working together with you to design an engagement ring that stands the test of time! 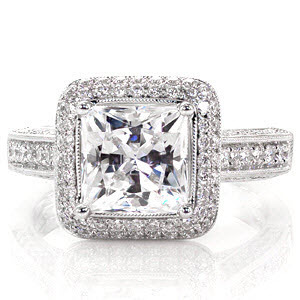 Author Katie MonsonPosted on April 17, 2015 January 21, 2016 Categories Diamonds, Jewelry, Unique Engagement RingsTags 4 C's, Choosing a Diamond, cut grade, Diamonds, Engagement rings, Knox Jewelers, LightLeave a comment on How Does Light Affect My Diamond? For those lucky enough to be born in the month of April, we have good news for you: Your birthstone is the illustrious, famous, and sparkling diamond. As the saying goes, “Diamonds are forever” – and in more ways than one. Diamonds are extraordinarily durable in both physical strength and historical staying power – in fact, it’s quite possible that diamonds have been a part of human civilization for many millennia – and for good reason, too. Let’s take a look now at how diamonds came to achieve their lofty status, and how you might incorporate one or more of them into a stunning work of art right here at Knox Jewelers. Diamonds have a rich and complex past. Countless cultures and civilizations throughout history and around the world have coveted and revered diamonds for their stunning and unique properties. From India to Italy to Brazil, diamonds have captivated countless generations. Although the sources of diamonds and the major players in the market have changed dramatically over the past few hundred years, one aspect of them has remained constant: They have been prized for their splendor and beauty, and as the remnants of aristocracy made way for the middle class of the modern era, they have only grown in popularity. From the sultans to the kings and queens to the middle class, diamonds have forever remained a staple of human culture, and we have no doubt that they will continue on this path for countless millennia to come. Why are we so sure about this? Let’s take a look now at just how alluring and special diamonds truly are. After all, they have been brewing beneath the surface for millions – if not billions – of years. Just What Exactly Makes Diamonds So Unique? But just what makes diamonds so unique and beautiful? Indeed, the answer to this question is more nuanced than you may have assumed. We all know that diamonds are rare, but what makes them different? To answer this question, we need to take a close look at the properties of these stunning stones. Firstly, diamonds – without exception – are all composed of the same chemical components. In fact, they’re the only stones that are made of one element – carbon. Each and every diamond shares the same internal structure that gives it its superb strength. These stones are so strong that they are 58 times harder than anything else that you’ll find in nature, and they were formed billions of years ago during the creation of the earth by interstellar forces and bodies. 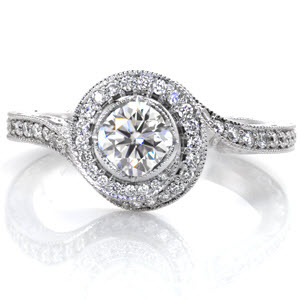 At Knox Jewelers, we have been designing stunning engagement rings, earrings, pendants, and more for our happy customers for decades, and many of these pieces have utilized a diamond center stone or in a micro pave arrangement. 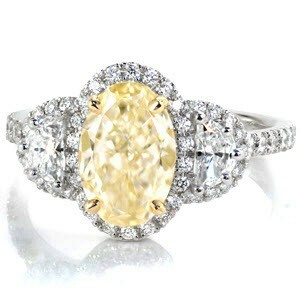 Among engagement rings, diamonds are very popular. Whatever your plans may be, we’re here to help you pick the right design for your special someone. 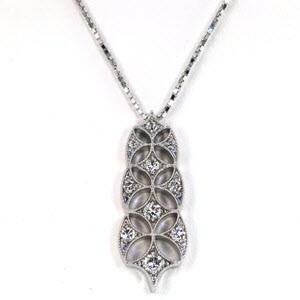 Diamonds are extremely versatile, and can be used in any number of pieces. They blend well with all metal types, including white, yellow, and rose golds, platinum, and more. 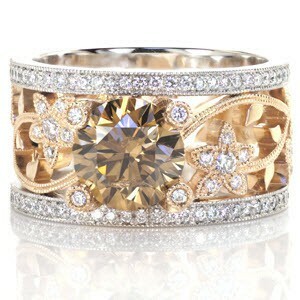 Additionally, they can even work well with other center stones, such as in our micro pave configuration. 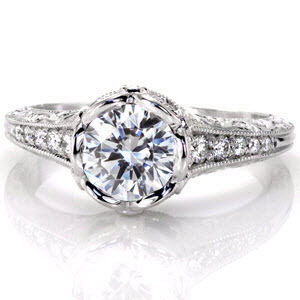 Whether you’re looking to use a diamond in an engagement ring, or just in a special gift for that special someone (who happens to have a fortuitous birthday in April), you’re bound to find exactly what you need at Knox Jewelers. 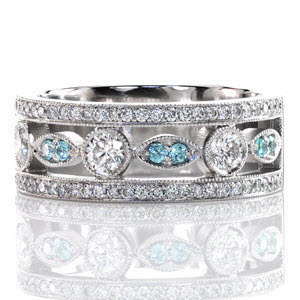 See More Diamond Jewelry Today at Knox Jewelers! 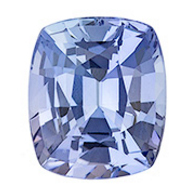 If you or a loved one has an April birthday, then the diamond is the right stone for you. We would be honored to have the opportunity to show you some of our stunning diamond designs up close, and we think that you will agree with the praise we have heaped upon them here. If you would like to learn more about using a diamond center stone or micro pave design in an engagement ring for your special someone, we encourage you to get in touch with us today to begin the conversation. Our friendly, veteran staff are here to work together with you to design a work of art that will stand the test of time. Don’t be shy – get in touch with us today!